The German-Polish project “Places of National Socialist Forced Labour from Poland, in Stralsund and Stargard (1939-1945)” included the joint reconstruction of the topography of National Socialist forced labour in the cities of Stralsund and Stargard Szczeciński. 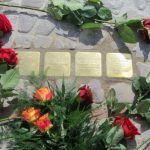 The two partners, the Muzeum Stargard (Stargard) and the PRORA CENTRE (Stralsund), decided to bring both cities’ history of forced labour out of obscurity, as well as create a reference point in the sphere of public conversation and remembrance of this time. In addition to the development of a brochure in German and Polish with the same name, a workshop was held in Stralsund (in March 2010) and a presentation of the brochure was done in Stralsund and in Stargard Szczeciński (November/December 2011). Today there is no Jewish community in Stralsund or Rügen, the closest one is in Rostock. In 2008 a new synagogue was inaugurated in Schwerin. As part of the project “Jewish life on Rügen and in Stralsund” six students from the Ernst Moritz Arndt High School 12th grade class in Bergen, Rügen, discovered that there used to be a Jewish community in Stralsund. They worked and researched six different topics regarding Jewish life in their region. They were able to incorporate the results of their work into their Abitur grade as a special learning achievement. The project result was the PRORA CENTRE’S first scientific volume, with the abbreviated results of the project participants. All of the teenagers realised that the stories of their hometowns had parallel aspects: the Russian city of Kingisepp had been heavily destroyed by German troops in the period 1941-1944 during World War II, and the city of Sassnitz was bombed at the end of the war. The result of the project was the PRORA CENTRE’S third project newsletter, “Dwasieden – Faces of a district – 1945”. The newsletter is written in German and Russian. They chose their own topics and worked in six working groups to create a PowerPoint® presentation entitled “Bergen during National Socialism”, which they presented to event participants in the “Politics and History” action area at the PRORA CENTRE’s Prora06 youth event. In addition, 10 pupils decided to further elaborate on the large city guide “Bergen during National Socialism (1933-1945)” based on previous research. The result of the project was a brochure with remarkable contributions from the student workshop. 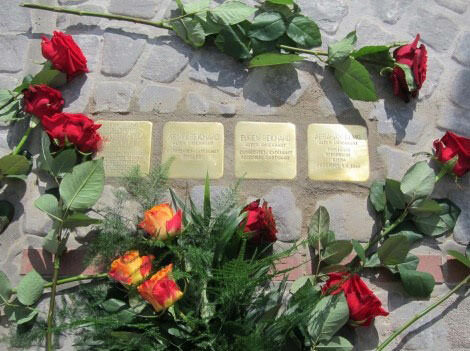 Based on the research work, the PRORA CENTRE, along with the Bergen city council and Cologne-based artist Gunter Demnig, was able to lay two stone plaques, or “stumbling blocks” at Markt 19 in Bergen for Albert Noack and his sister Ida Noack, who were persecuted for being Jewish. The PRORA CENTRE was recognised with an award in 2007 for publication of the brochure “Bergen during National Socialism (1933-1945), A city guide” by the Alliance for Democracy and Tolerance – Against Extremism and Violence. Students from the Ernst Moritz Arndt High School in Bergen spent one-and-a-half years doing a course project regarding the National Socialist history story of Prora, the “Strength through Joy (Kraft durch Freude, KdF) – seaside resort Rügen”. The 15 students were divided into six working groups and worked on different topics, this included, for example, the planning of the seaside resort, the offerings of the National Socialist holiday organisation “Strength through Joy”, and the use of the facility during the war. A look at the neighbouring town of Binz, in which the National Socialists expropriated the Jewish owners of the spa as part of the plan of “Aryanization”, was also included in the exhibition. Likewise, the so-called bath antisemitism which already existed around the year 1900, was taken into consideration. As part of the project, the PRORA CENTRE invited eyewitnesses of the time who could provide important information in each subject area. In January 2005 the opening of the exhibition took place in the high school in Bergen, after which it went on tour throughout Mecklenburg Vorpommern. Today the PRORA CENTRE has this exhibition in its permanent exhibition display. The exhibition project was selected as part of the programme Democracy Learning and Living as a practical example for oral history, or narrated history, in Mecklenburg Vorpommern.